Twitter is one great community to be a part of. It allows you to connect with friends and strangers from around the globe. It can be a great sharing and learning tool too. We all have influencers on Twitter. 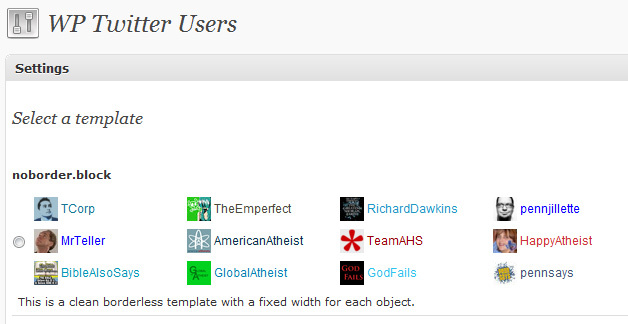 Tools such as Klout can show you who you are influencing. Once in a while, you want to promote those who are sharing great content on Twitter on your website. Maybe you just want to display your #followfriday list on it. Whichever the case, WP Twitter Users has you covered. This is a great tool to create Twitter lists with. We have seen how popular those “top X Twitter users who talk about topic Y” lists are. WP Twitter Users gives you the chance to promote your favorite tweeps in a more professional and colorful fashion on your website. You have multiple templates to choose from. The code can be easily customized to come up with custom templates. Many folks still share their #followfriday lists only on Twitter. 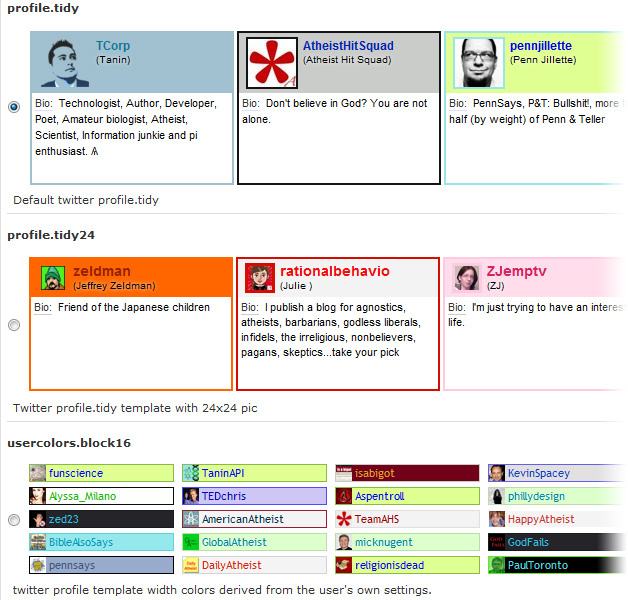 But there is no reason not to also include your favorite tweeps on your website. Besides, you can’t fit a ton of tweeps in your #followfriday tweets (if you do it too much, you could turn people off). 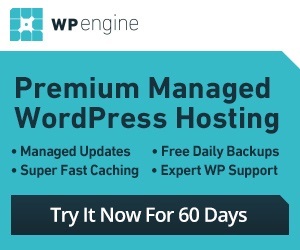 Thanks to WP Twitter Users, you can get around that issue.